The Vision Therapy and Low Vision Unit helps patients to maximise their visual capabilities. Vissum has a team of specialised optometrists who assess visual problems and seek the best solutions to them. Vision therapy can correct visual problems that cause eyestrain, headaches and learning problems in children. Low-vision aids significantly improve the quality of life of patients suffering from an irretrievable loss of vision, aiming to help them become self-sufficient through the use of optical aids such as special lenses and filters. Following an initial consultation with an ophthalmologist to rule out organic or pathological eye problems, patients are treated by Vissum’s Vision Therapy Unit, which has a clinical assessment, diagnosis and treatment protocol aimed at detecting visual disorders affecting normal vision development. In the case of children, routine check ups are especially important, since the presence of these alterations can interfere with the normal development of the visual system and affect school performance. Children who benefit from the treatments applied in the vision therapy unit are those with problems such as lazy eye, strabismus, difficulty focusing, near vision disorders and some types of diplopia (double vision). These therapies and visual aids are never a substitute for pharmaceutical treatments or surgery. Elimination of eyesight difficulties, such as blurring of distance vision after prolonged close up tasks like reading or computer work, difficulty focusing at different distances, headache with a visual origin, double vision, movement of letters-objects, etc. that interfere with learning, especially reading and writing, and thus with school and work performance. Recovery from lazy eye (amblyopia). The sooner treatment is started for lazy eye the more likely it is that full functionality will be regained. If lazy eye is not diagnosed and treated early it will have repercussions for the child’s vision for the rest of its life. Binocular and accommodative problems, such as strabismus. In strabismus where surgery is indicated, it is often advisable to undergo vision therapy before and after the operation to achieve optimum results. It is estimated that one third of children with difficulties at school have visual problems. Vissum offers parents the Vision Therapy Unit, where a multidisciplinary team of optometrists and paediatric ophthalmologists analyse the child’s learning problems and implement a customised vision therapy programme to enhance the child’s visual performance. A good ability to focus as well as a high level of eye coordination to produce greater concentration when doing schoolwork. Normalised levels of ocular motility (tracking and saccadic movements or rapid eye movements) to improve reading fluency. A good level of hand-eye coordination. The duration of treatment depends on the type of disorder to be treated, with programmes usually lasting around four months. 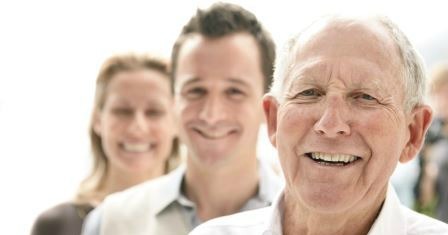 Patients suffering from an unrecoverable visual loss can improve the quality of their eyesight through specific visual aids, which consist of different types of lenses or visual aids, devices that help to make better use of their residual vision. Any patient that has major eye problems such as macular degeneration, diabetic retinopathy, glaucoma, inoperable cataracts, retinitis pigmentosa, high myopia, optic neuropathy, etc. and cannot perform common tasks with conventional glasses, can benefit from these visual aids. These visual aids are not alternatives to medical treatments; instead they are complementary aids that improve quality of life by enhancing the remaining vision. 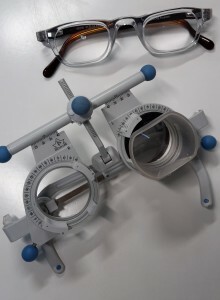 An optometrist specialising in low vision will make an assessment and recommend the best visual aid according to the patient’s needs, showing the patient how to use it and teach them techniques to be able to manage better in their daily lives and become more self-sufficient. 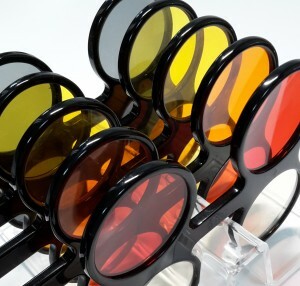 Optical aids. These are special lenses that help the patient to improve their vision for details, such as reading, sewing, reading a bill, etc. Non-optical aids: non-optical aids can range from special items that facilitate everyday life for people with low vision to colour filters. Colour filters or selective filters are especially useful. These are photo-protectors that have a preventive function and they are highly recommended for preventing macular degeneration from progressing more rapidly. They also enhance contrast and the patient’s visual comfort, so that an improvement is seen in visual quality. 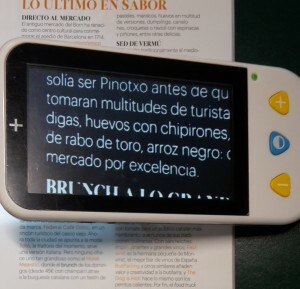 Electronic aids: electronic aids are magnifiers that recognize text and enlarge it up to 60 times as well as changing the contrast and background to improve quality. Their use not only does not impair vision, but quite the opposite, it keeps the patient’s vision more active.